Music Player Softwares For Windows: Are you still searching for the best Music Player Softwares For Windows and MAC??? Then you are at the exact destination to collect it. Nowadays, many people love to listen to the music for relaxing their minds. In the Music Player Softwares, you can easily collect all the music. Many music player applications are available in the market, but some of them do not provide the good quality. Most of the people are suffering from the music player apps. 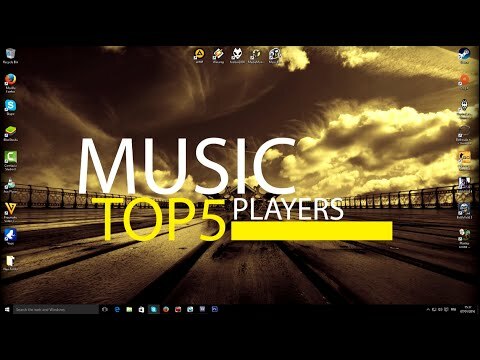 So, for the sake of the users, here I have updated the most popular best Music Player Softwares For Windows and MAC. People who love to listen to the music on their Windows or Mac devices they can get it from the below sections. The audio players on your desktop organize your playlist which helps you to keep your extensive collection easy to search. And with the help of the Desktop music players, people to enjoy the music. And you can also synchronize with the mobile players. But you have to download the best Music Player Softwares For Windows and MAC. Read all the given applications and then select the app which one you want to use on your Windows or Mac device. Clementine is the first music player app available for both Windows and Mac devices. In this Clementine, you can add your entire music collection, and you can easily organize it. Clementine provides the awesome advanced features to the users. You can directly search and play the songs in this Clementine which you have uploaded to a variety of cloud storage services like Google Drive, Dropbox, etc. You just need to sign with cloud storage services to add the detected media to your playlist in the Clementine. With the help of the Clementine, you can enjoy the streaming music as well as internet radio from the web-based services. MediaMonkey is the best media software, and millions of people are using this app on their devices. It provides the very interesting features to the users, and everyone can use this application very easily. MediaMonkey supports many digital formats such as MP3, FLAC, AAC. And in this app, you will be able to handle the video formats also like MP4, AVI. It also can rip the audio Cds, and you can also download the podcasts as well as track metadata. MediaMonkey continuously scans your library folders for any changes and updates to the media collection. MusicBee is a free software, and it provides the tons of features to the users. This MusicBee is very easy to manage and organize the extensive music collections into libraries. With the help of the MusicBee, you will be able to import your Windows media as well as iTunes media. You can also connect this to the internet for downloading the missing track. 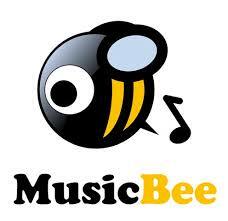 MusicBee supports both MP3 and AAC to OGG and WMA. You can also use the MusicBee plugins in many ways. aTunes has the coolest interface, and it is very simple to use. All the options of aTunes application are very easy to use. And you will not confuse it by using the aTunes app. In this aTunes, you can easily add multiple media files and folders then it will be managed and organized automatically. aTunes supports a bunch of audio formats like AAC, MP3, FLAC, WMA, WAV. Audacious is the best Music Player Softwares For the users who love to enjoy the music without any nonsense. It has a very simple user interface. To use this Audacious, you have just to add library folders, and apps will load up the tracks for playback. All the track details are provided in the separate columns. Audacious has the powerful functionality which allows you to find the track you are looking for in seconds. Audacious supports all the audio formats, and it provides the interesting features to the users.